We're ALL SMILES at The Chautauqua Center! As The Chautauqua Center continues it's growth and expansion, your donations will allow us to offer the most complete and quality care for our patients and community. 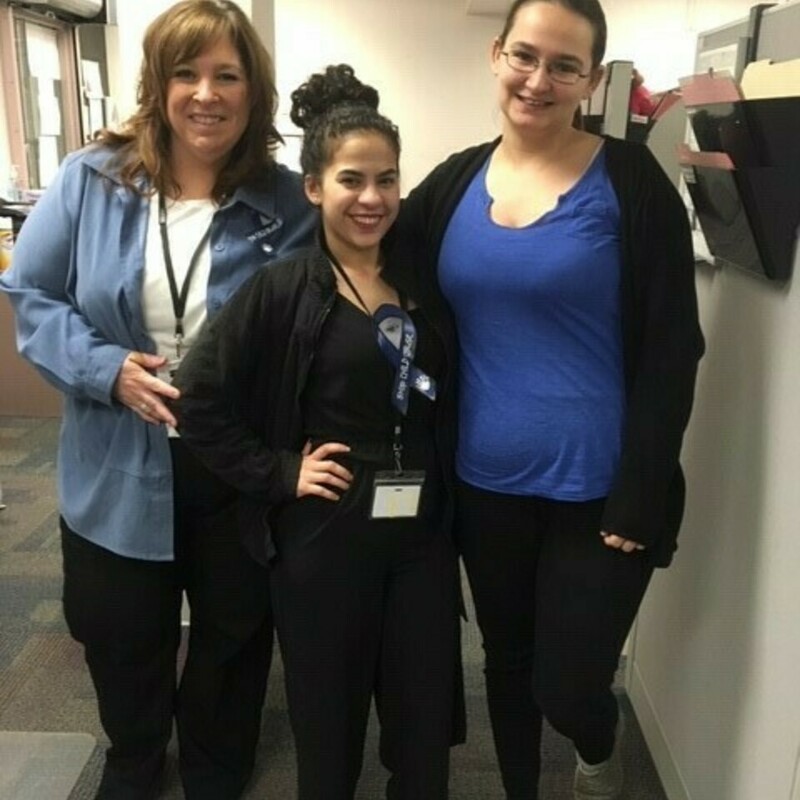 TCC staff wear blue in honor of April being National Child Abuse Prevention Month. All children deserve great childhoods, they are our future! Kicking off the Spring 2019 Care Coordination Summit hosted by TCC Care Coordinators! Thank you to those joining us to learn more about local Care Coordination agencies and community resources. 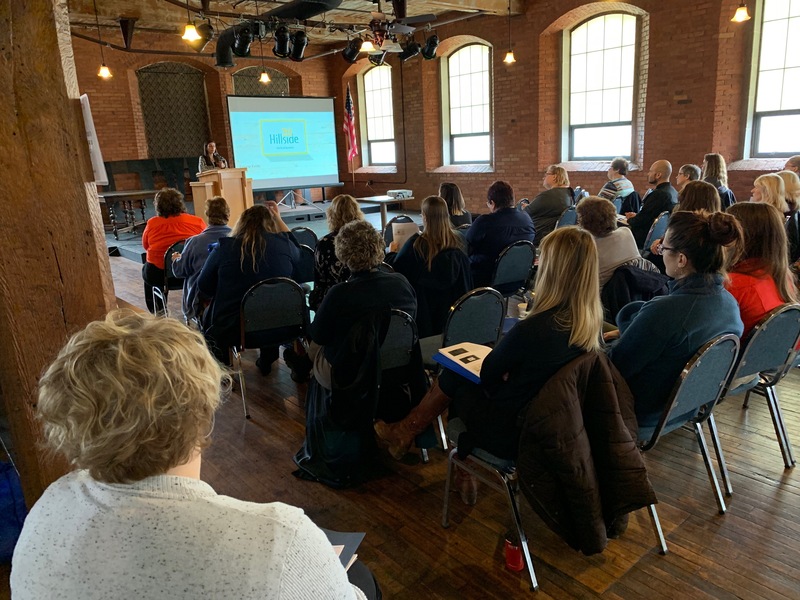 We couldn't have pulled it off without speakers from Western New York Rural Area Health Education Center, Inc., Person Centered Services, Evergreen Health, and Chautauqua County Department of Mental Hygiene. A big thank you on behalf of Falconer Girl Scout Troop #20117. Congratulations on completing the Girl Scouts first aid training thanks to TCC! Have You Thanked Your Doctor Today? TCC is heading to Capitol Hill TODAY and we need your support! Select “Take Action” and follow the simple steps that will show our Members of Congress how important an extension of federal grant funding for the next 5 years is. CEO, Michael Pease, says "Thank You" to staff for their great work and daily dedication with a day full of FUN- sledding, games, food, and more! This is one of the many perks of becoming an employee at The Chautauqua Center. Check out "Employment Opportunities" for current openings! 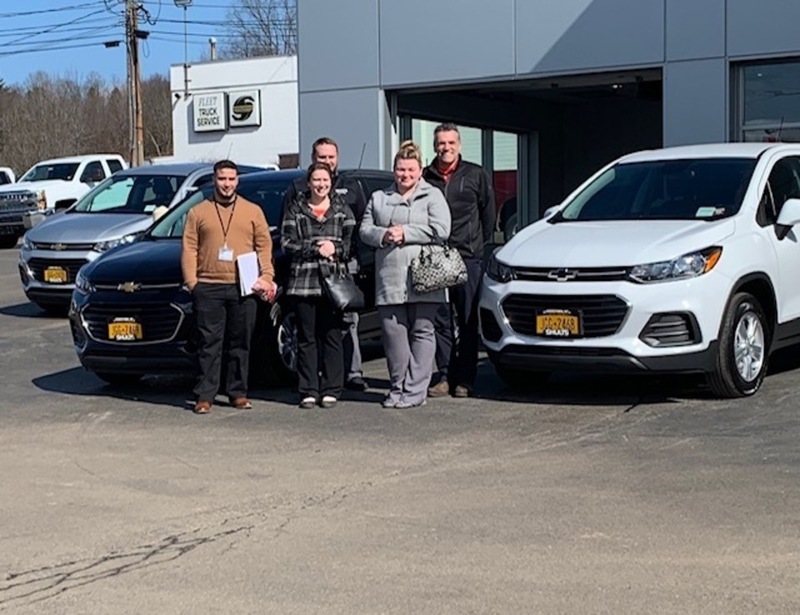 TCC would like to thank Sean Larson and Mike Taylor from Ed Shults Chevrolet of Jamestown for assisting TCC purchase their first company vehicles. We thank Shults for their commitment to their community and customers. We are looking forward to long standing partnership. The vehicles will assist providing patients with limited transportation their medications in a timely, professional manner right to their home. Having this delivery vehicle also supports our goal of increasing medication compliance and overall wellbeing. They will also assist Care Coordinators in helping patients with no access to transportation to maintain continuity of care with their health care providers and achieve improved health outcomes. Time to see the Dentist? This is your smile reminder! Contact us to schedule you and your family's check-up appointment. 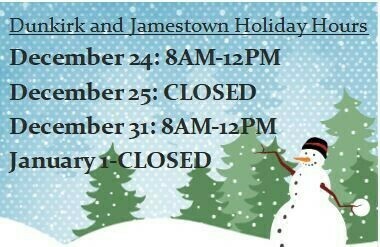 Speak to one of our Call Center staff or visit us in Dunkirk and Jamestown! No Dentist? No Worries! Now accepting New Patients and scheduling evening appointments. TCC Staff Are Pumped About Heart Health Month! In honor of February being Heart Health Month, TCC staff put on their creative caps and decorated doors throughout offices in Dunkirk and Jamestown on prevention tips and educational information for patients! March 3-9 is Dental Assistant’s Week! Thank you for making TCC a better place, one smile at a time :-). Welcome to the TCC Family! "What do I do with unused medication?" Help prevent prescription and over the counter drug abuse/misuse. 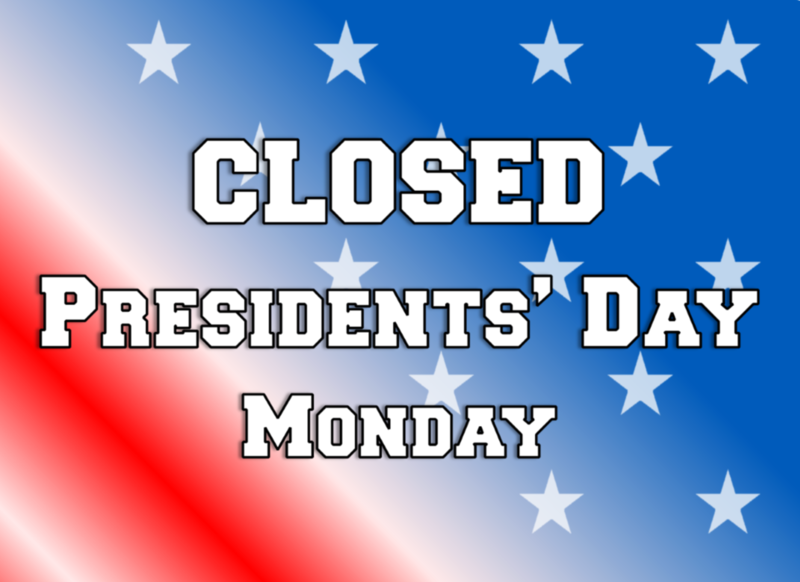 In observance of Presidents' Day, our offices will be closed Monday, February 18 and will re-open Tuesday, February 19 at 8AM. "A new trend in healthcare is also to bring back true, face-to-face communication. Instead of typing on a computer between the patient and physician, or scribbling on a note-pad, exam rooms will provide scribes to free the physician for total, hands-on, personal attention without the need for note-taking, keyboarding, or other distractions while communicating with the patient," states CEO, Michael Pease. 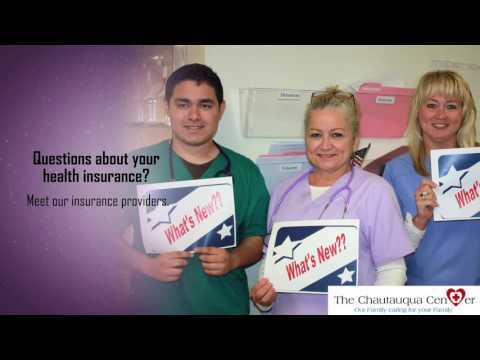 At The Chautauqua Center, we look forward to offering you more complete health care. Our Pharmacist is available via phone or to schedule a meeting at your convenience! Questions/concerns can be addressed by reaching any of our clinical locations. TCC will be closed in observance of Veteran’s Day Monday, November 12. All offices will re-open Tuesday, November 13, at 8:00am. 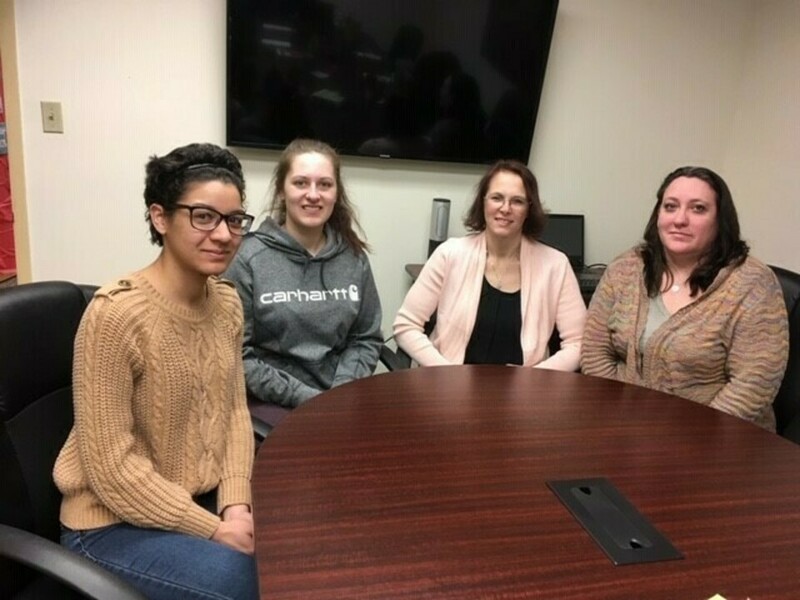 We are pleased to welcome Jenny and Ishmally who are Patient Registration Specialists in Jamestown, and our newest Medical Assistant, Jackeline, at TCC Primary Care location in Dunkirk. Explore your possibilities at The Chautauqua Center under "Employment Opportunities." 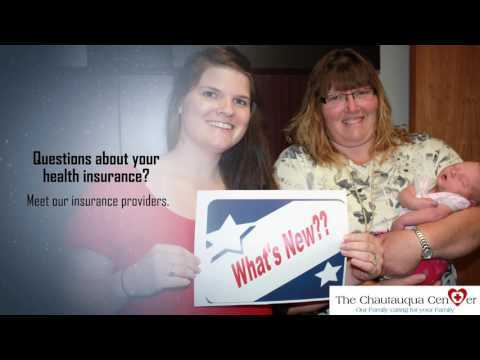 Welcome to The Chautauqua Center Team! Community Health Fair Saturday, December 15! All ages welcome to our Primary Care Office! Call today to schedule an appointment for a FREE health screening and/or a dental screening (716) 484-4334. POUND CLASS DEMO for all ages! Healthy refreshments will be provided! 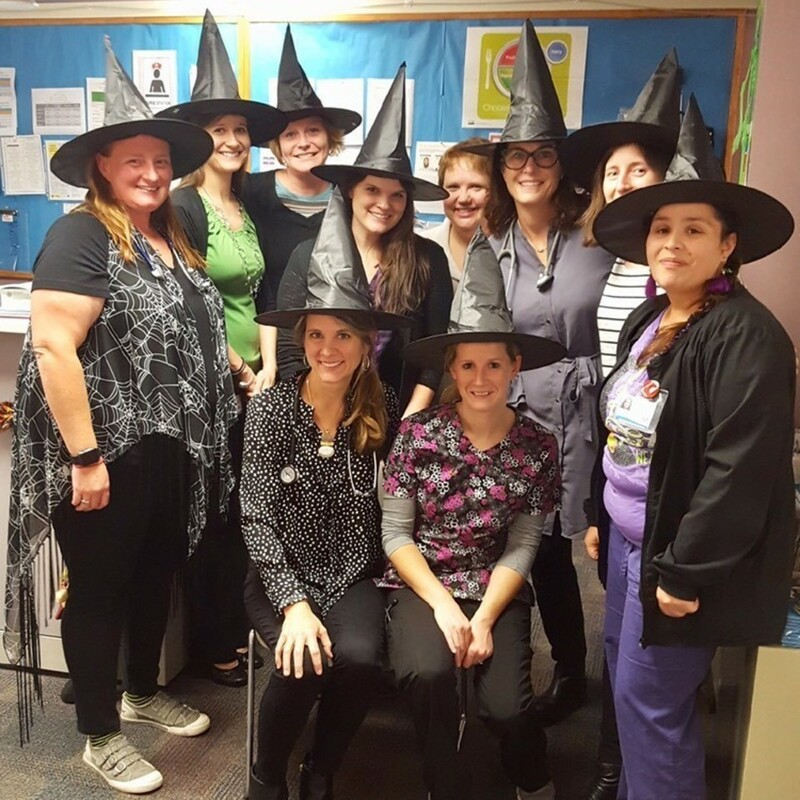 Wishing all a happy and safe Halloween, from our BOO-tiful staff! TCC Staff welcome local law enforcement from Dunkirk and Jamestown in honor of Prevention Week in May. Together we raise awareness about the importance of substance abuse prevention and positive mental health. 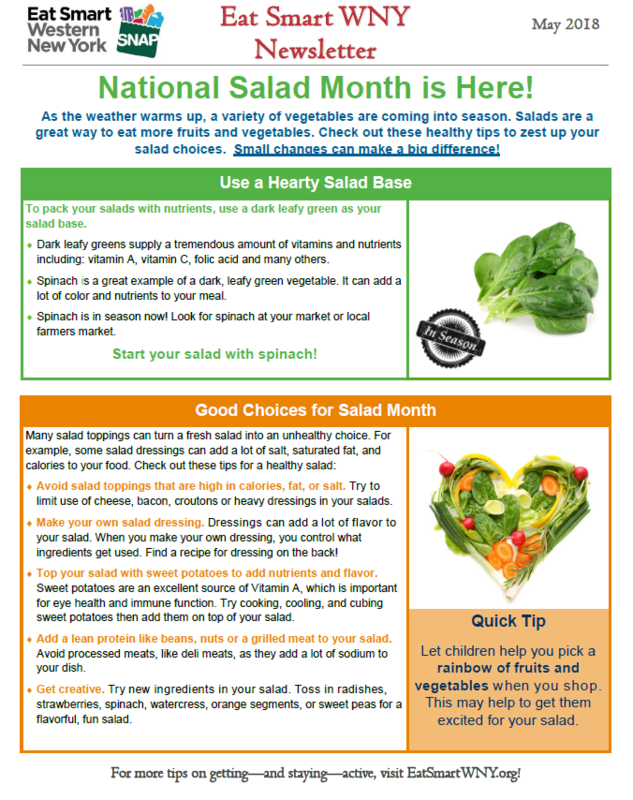 Eat Smart Celebrates "National Salad Month"
Access Your Medical Information ONLINE or ON-THE-GO! How do I sign up? Our front receptionists in any one of our offices will be happy to assist with this 2-step user-friendly process. Stop in today! What we will need: A personal email address, unsure how to set one up, contact us! -Check your personal records anytime, anywhere! Demo Day is in Full Effect at TCC Future Jamestown Site! 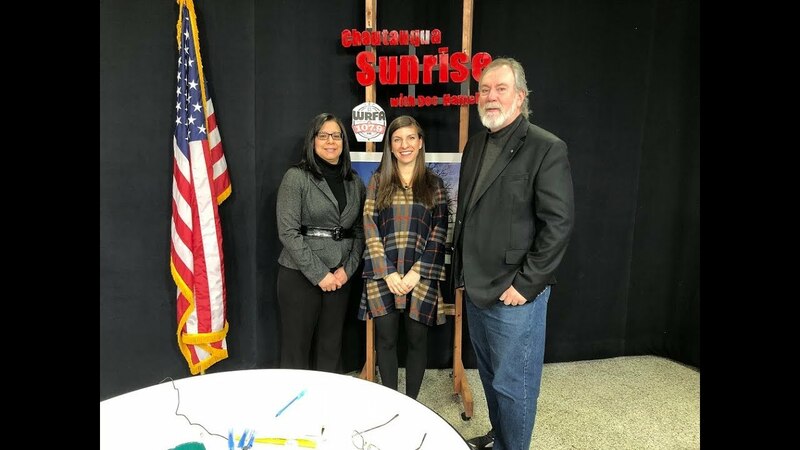 Thank you Chautauqua Sunrise​ for letting us share our services, and exciting future plans to strengthen the healthcare need within our community! TCC Family Continues to Grow to Better Serve You! Welcome Pediatric Doctor, Dr. Parikh, MD! It is with great pleasure we welcome to our family health center our newest Board Certified Pediatrician, Dr. Rajiv C. Parikh, MD. Dr. Parikh has been practicing for 46 years and is eager to continue serving the Chautauqua area. He will continue treating patients at the same location on 1134 Central Avenue in Dunkirk, and will be using the same phone number beginning Monday, December 18th, 2018. Call to discuss your options to transfer your child’s records or to schedule a New Patient appointment today using our temporary phone number, 363-6061! We're not complete without you! Now hiring at our Dunkirk location: Pediatric Licensed Practical Nurse, Social Workers, & Registrar positions. Learn more in "Employment Opportunities." TCC Eat Smart New York program is here to help. See what SPOOKtacular recipes they have brewing! *What's in Season in WNY? Click on the link below to Chautauqua County's very own Local Farm Product's Guide. Dr. Caillean McMahon is a Psychiatric Specialist who recently joined The Chautauqua Center. She graduated with honors from Philadelphia College of Osteopathic Medicine in 1980. Dr. McMahon has over 35 years in Psychiatry and Addiction Treatment in the local area. Dr. McMahon is accepting new patients and with no wait! Contact us on our Behavioral Health line, (716) 363-6044, to make an appointment with Dr. McMahon or stop by on her scheduled days to meet her. Dr. McMahon will be in Jamestown on Monday/Tuesday and Dunkirk on Wednesday/Thursday. In honor of National Health Center Week, TCC would like to thank you for making this year's Family Fun Day a huge success. This year, we had an overall attendance of 1,300 and provided 720 backpacks to local boys and girls making for a great start to the new school year! We also introduced our future new site in Jamestown, and were excited to hold our groundbreaker and share the future of TCC. We would not be able to pull this off without our supportive community, we appreciate all of you and as always look forward to next year! The Chautauqua Center is proudly recognized as a Patient Certified Medical Home (PCMH) to better serve our community. TCC uses a team approach to provide total heath care for all individuals. Your medical home team will include your health care provider and others who support you. 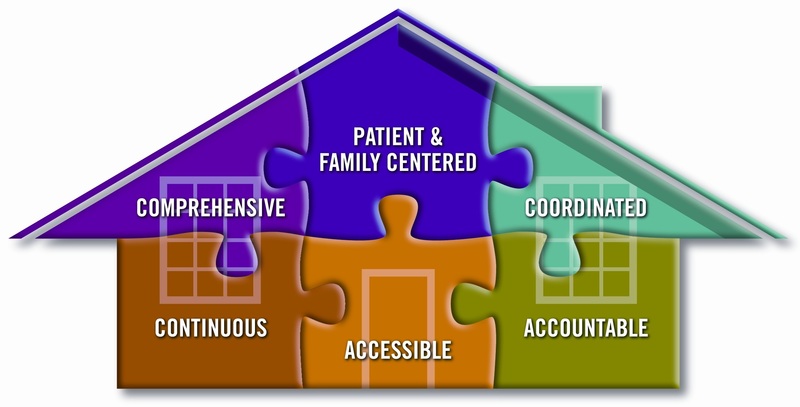 The medical home is intended to result in more personalized, coordinated, effective, and efficient care. You are the most important person on the health team! How loud is our voice in Chautauqua County?? Today- 03/30/17, Health Center Advocates (that’s you!) should ask their Senators to co-sign the Wicker-Stabenow Health Centers letter in the Senate, and ask Representatives to co-sign the Bilirakis-Green Health Centers Letter in the House. The toll-free Advocacy Hotline will connect you with your House Member and Senators - PLEASE call 1-888-422-0744. Help us celebrate National Health Center Awareness Week at our third annual Family Fun Days! •Celebrate in Dunkirk on Thursday August 11 in Washington Park from 1pm-3pm. •Celebrate in Jamestown on Friday August 12 at The Gateway Center 31 Water Street, Jamestown from 1pm-3pm. Backpack and School Supply Giveaways throughout the day! Dental Services Coming to Dunkirk!